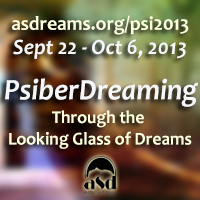 Every year since 2002 the International Association of the Study of Dreams (IASD) has put on a 2 week online dream conference called: PsiberDreaming. For 2013, it is called: Through the Looking Glass of Dreams. It features presentations, discussion boards, workshops, an art gallery, a chat room, and contents such as the mutual dreaming and telepathic dreaming contest. It cost $45 to attend from the comfort of your home. It is a great way to hear the latest from dream experts and connect with other dreamers. 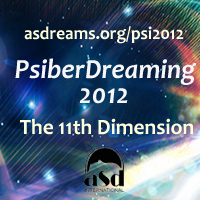 I took part in 2012 when it was called: PsiberDreaming: The 11th Dimension (September 23rd to October 7th 2012). I have attended a few years in the past and have found it to be interesting. My favorite part is the mutual and telepathic dream competitions. There is much to explore, and lots to learn about. At the 2006 PsiberDreaming, I contributed some of my drawings to the Art Gallery. If you have some dream inspired art, consider entering it into the Dream Art Gallery. 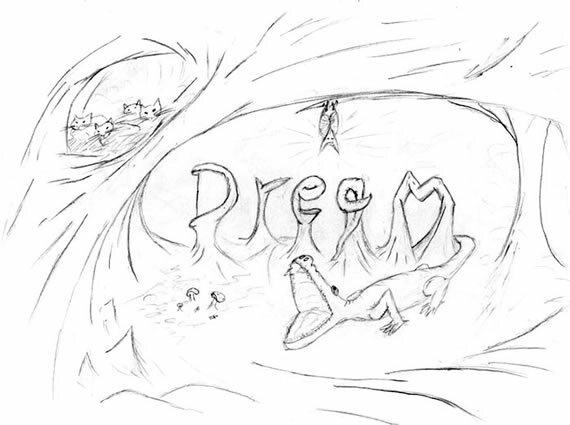 Drawings and visual art is helpful in storing and recalling significant dream memories.